The original Fidget Cube™ designed by Antsy Labs is an unusually addictive, high-quality fidget toy designed to help you focus. 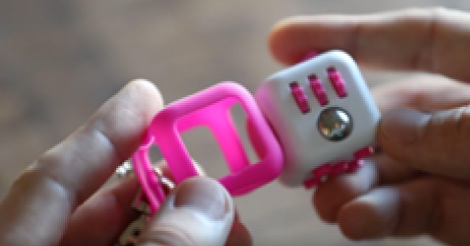 Backed by over 154,926 on Kickstarter, the Fidget Cube™ is the ultimate toy for fidgetters of all ages. Enjoy this years top trending toy and fidget that stress or anxiety away. 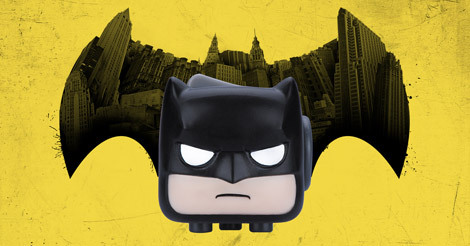 The original Fidget Cube™ designed by Antsy Labs now comes designed like your favorite movie characters. High-quality face molds are integrated into the patent-protected technology so you can enjoy the coolest characters whilst fidgeting away that stress. The ZURU Fidget Prism is a silicone case that holds your Fidget Cube™ tightly but can be removed when desired. It includes a removable keychain with small carabiners on each side for quick and easy detaching. With the ZURU Fidget Prism you can customize your Fidget Cube™ depending on your mood. Keep you ZURU Fidget Cube™ close by attaching it to your school bag, briefcase or keys for easy access when the fidgeting feeling comes over you. Stay up-to-date, win prizes and so much more! We won't spam you. That's not fun!